Have an Idea on How to Improve Tech? Enter the IDEAS Competition for a chance to win up to $1,000 and the opportunity to be a part of Teams for Tech*. What is Teams for Tech? 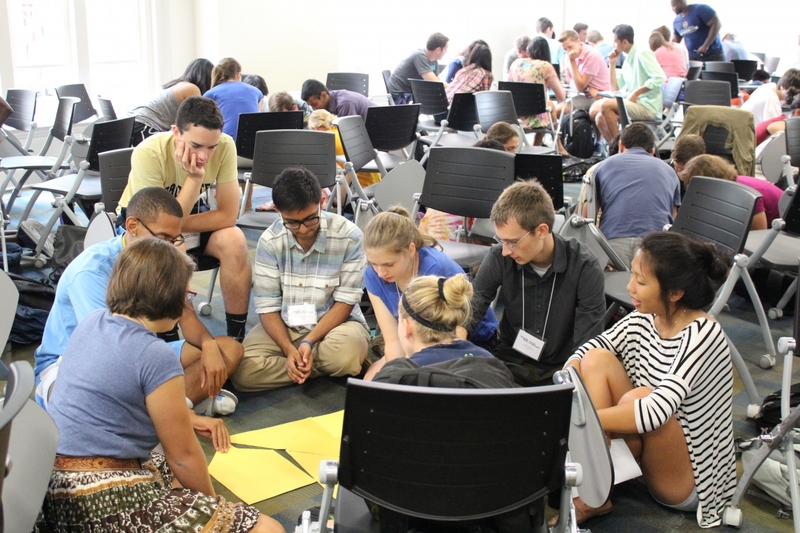 Teams for Tech is a year-long student engagement where undergraduate and graduate student teams work closely with a team leadership coach to create a product, service, project or venture concept to enhance the life at Georgia Tech. Projects could focus on reducing Georgia Tech’s environmental footprint, enhancing the quality of student life, improving technology, etc. and will have a direct impact on Tech’s student body and campus. Team members will understand and analyze the dynamics of their role on the team and the team itself, gain experience in leadership situations, recognizing that leadership happens up and down the organizational ladder, give back to the campus community, and apply problem-solving skills to difficult team dynamics. Each team will work closely with a trained team leadership fellow (coach) that will observe and ask powerful questions to aid members in building a high-performing cohesive team. Funding will be made available to see your project through to implementation. BuzzySpace aims to decrease the stress of Georgia Tech students by use of an application that displays all study spaces available to students at a given time, therefore decreasing time wasted on searching for study spaces. The application provides a preview of the amenities that students often require, as well as a rating of the overall room and distance between the student's current location and available study spaces. Displaying available on-demand study spaces near students will allow students to waste less time attempting to find study spaces, thereby allowing students to commit more time to their studies and decreasing their overall stress rate. More to come from this team as they look to implement their idea on campus. Interested in Applying for Teams for Tech? What are we looking for in a Teams for Tech Team? Interested in submitting your idea for the IDEAS Competition? Apply now. Proposals are accepted until Friday, March 15, 2019. If you are interested in discussing this opportunity with us, please email leadingedge@gatech.edu and we will setup a brief meeting.